This week, 7’s Andrea Isom heads to Macomb Township to find out which restaurants made the dirty and clean list in the latest edition of Restaurant Report Card. New China Gourmet on 23 Mile Road had four priority health violations on the latest health inspection. Three out of the four violations have been fixed. 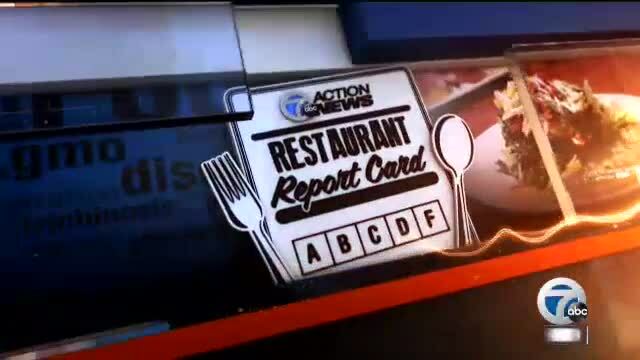 MACOMB TOWNSHIP, Mich. (WXYZ) — This week, 7’s Andrea Isom heads to Macomb Township to find out which restaurants made the dirty and clean list in the latest edition of Restaurant Report Card. New China Gourmet on 23 Mile Road had four priority health violations on the latest health inspection. Three out of the four violations have been fixed. Aspen Restaurant on Hall Road also had four priority health violations ranging from employees picking up ready to eat food with their bare hands to utensils in contact with potentially hazardous foods like raw animal meat. Managers say all issues on the last report have been resolved. Over at Testa Barra, three out of the four health violations were fixed. The outstanding issue was with an oxygen sealed label. Finally, at Shogun Chinese and Japanese Bistro on Hall Road, all four violations were corrected. To view the full restaurant reports, follow this LINK and type in the zip codes 48044 and 48042.